We’d love your help. Let us know what’s wrong with this preview of The Teachers Are in Trouble and Other Rhymes by Matthew Hartley. 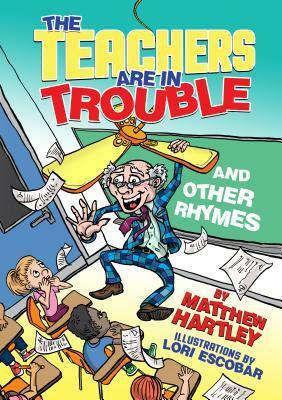 Matthew Hartley's book, The Teachers are in Trouble and Other Rhymes, is sure to make you laugh out loud. In these pages you'll find the King of Burps, the boy who wouldn't eat his greens, the teacher who got detention, and many more colorful characters. The illustrations are by Lori Escobar, whose art perfectly suits the humorous rhymes. To ask other readers questions about The Teachers Are in Trouble and Other Rhymes, please sign up. Well, I'm obviously going to say it's great! I illustrated it! Plus your young kids will get a kick out of the very silly rhymes. Enjoy!